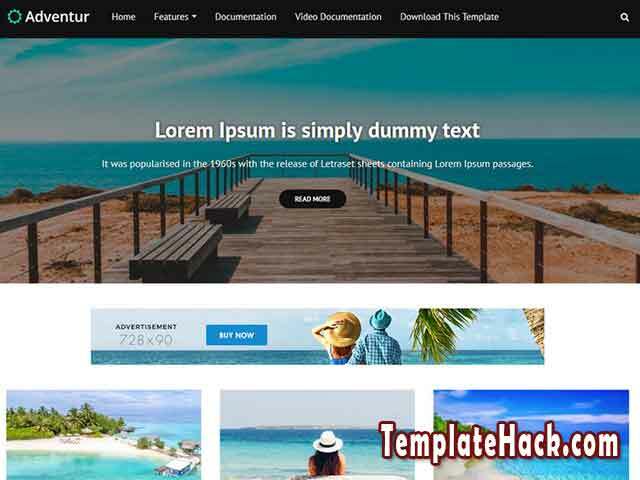 TemplateHack.com - Download Adventur premium blogger template. 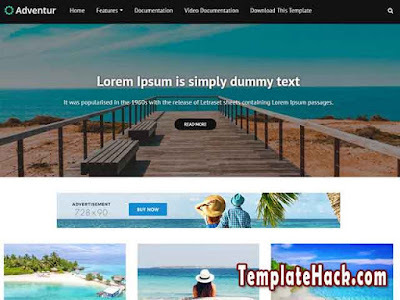 Adventur blogger template is free premium blogger template designed to share your picture from travel, journey, wedding, printing, design, and many more. With Search engine optimized by Google, this template will help your blog to stay on Google first page by spesific keyword. With that feature, this template also can you implement to your portal blog, news blog, magazine blog, personal blog, portofolio blog, newspaper blog, etc. Also you have more opportunities because I share this premium template for free. You can get more features no available on free version. Just download this template for free on link bellow guys.